After Winmate's Smart Signage Display has gained so much attention from customers in the trade show, now the Smart Signage Display is not only smart, but also accelerated by WiFi technology. With the WiFi connection, it eliminates the cumbersome and expensive wiring job in the building, greatly saving your space and money. Modular design brings flexibility and profit to your business for all kinds of exhibition, including : Promotions, Parties, Awards & Entertainment Events, Public Relations & Industry Press Events, Road Shows, Traveling or Permanent Shows. 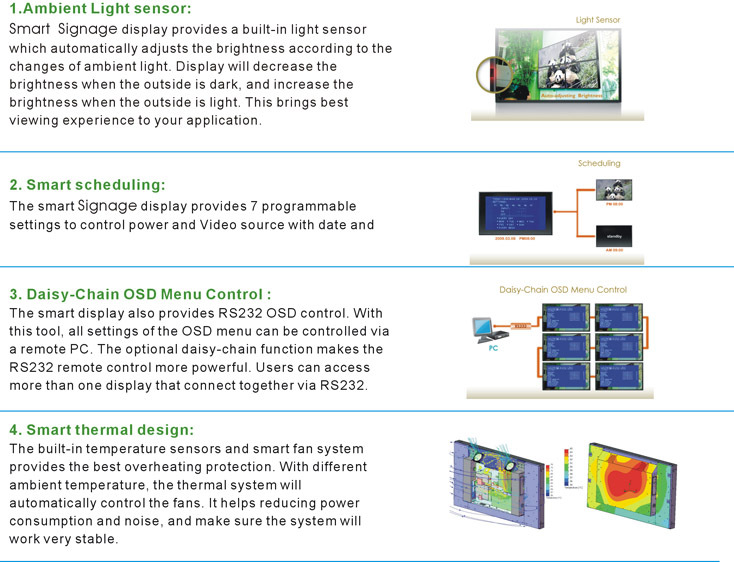 You can find many outstanding features in Smart Signage Display, such as ambient light sensor, Smart Scheduling, Daisy-chain OSD Menu Control, Smart Thermal Design. You can go to Internet wherever WiFi signal is available, no more tedious Ethernet cable wiring stuff and expensive 3G contract.